Shot by the famous photography duo, Mert Alas and Marcus Piggott, the campaign features Kim Kardashian in multiple, almost as if the star had been cloned. 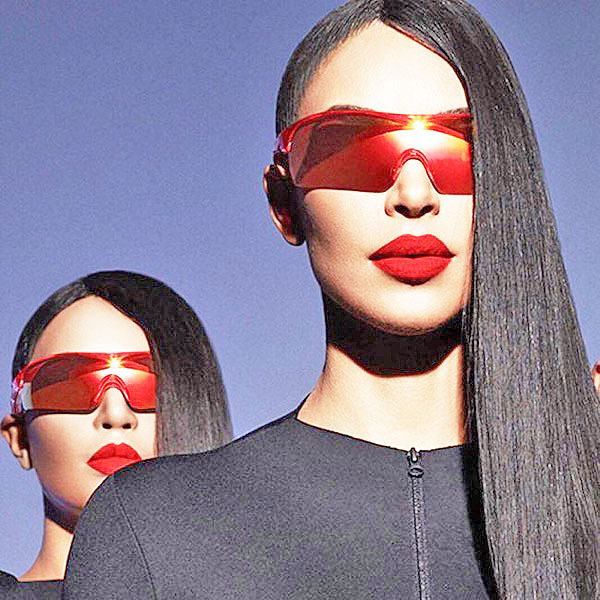 Dressed in underwear or entirely in black, Kim Kardashian wears selected models co-created for Carolina Lemke, including XXL mask-style shades in several colours, as well as retro-inspired glasses. Kim Kardashian is a muse in multiple for new Carolina Lemke campaign 0 out of 5 based on 0 ratings. 0 user reviews.